Right now i am doing it one by one ? Press and hold (Lightly. Don't force press.) on one of the pictures in the email. You should get a pop-up menu with an option to save all of them. I have already tapped to download one of the images and as soon as it was visible, tap and hold this one picture, but I didn't get a pop-up menu I don't why!! 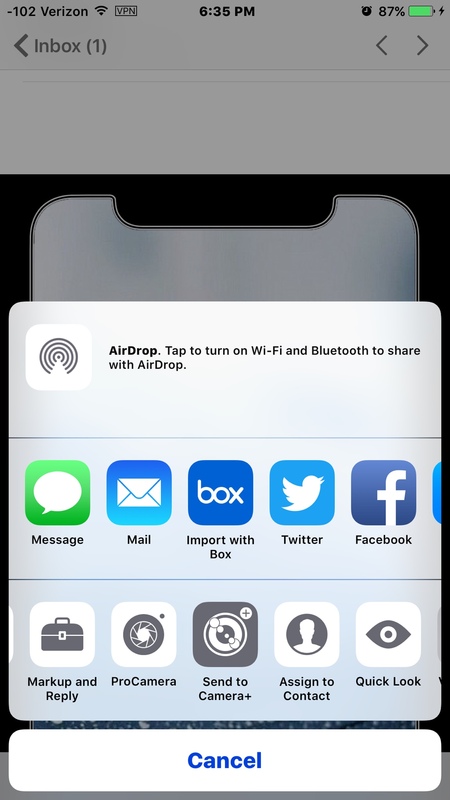 If you download 1 image, then lightly press on that image, you should see a share sheet with the option to save 6 images. I don't know if the screen protector or my rough was affecting the sensitivity of the screen. But couldn't see the option : save 6 images or 7 images,,,do I need to configure something prior ? Did you slide the row of options to the left. The save option may not have been visible. This is what I first see. If I slide the bottom row to the left, I see more options. Did you download one first, before pressing on it? I just replicated what you did, and only got the save one image. You need to tap on one and download it first. Then press lightly on the image. That should give you the option to save 6 images. Thanks for that now I saw that option where it says 6 images. It works in my mail app on my personal email accounts. The only difference between Gmail and Outlook is on Outlook, the images are already downloaded. Then I press on one and it gives me the option to save them. You first said it worked, then said it didn't. What was the difference? You first said it worked, then said it didn't. What was the difference? 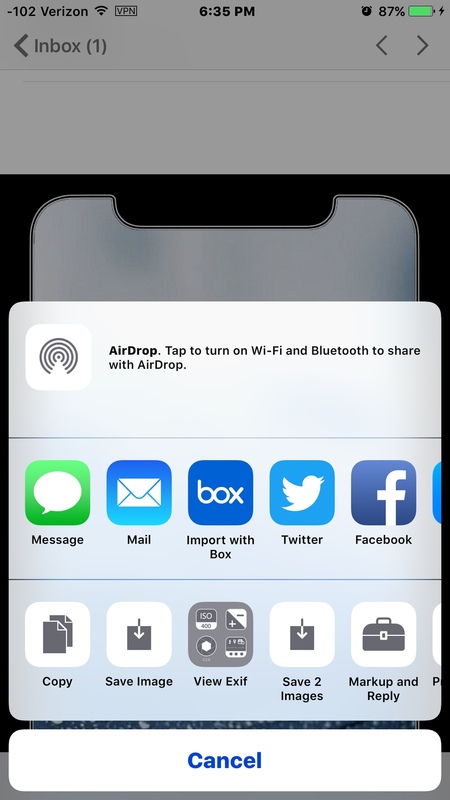 When I was testing I was using iphone mail app that initially I couldn't see option for saving multiple images when I was tapping and holding the first image in the list but when I tapped and hold the second image in the list that options for saving multiple images popped up ! !1why I don't know. I don't know about the Gmail and Outlook app, but it should work for both those in the stock Mail app.